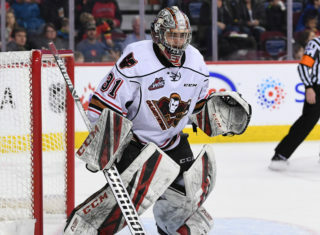 It’s been a remarkable season for the Hitmen, after missing out on the post-season last year the club was motivated to make a return and did just that. The numbers 0-5-1 and 5-12-2 have been thrown around many times but speak volumes to see just how far they’ve come, ending with a 36-26-5-1 record good for third in the Central Division. “We were hungry to get here,” Dakota Krebs said. “Without that tough stretch we had early on I don’t think we would be here or became the resilient group that we are now. When all odds were stacked against them that belief ultimately was what led to their success. 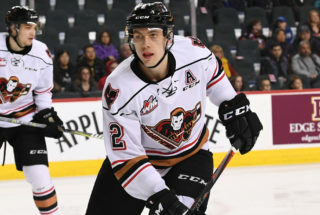 Since Jan. 1, the Hitmen have rolled to an impressive 26-12-3 mark and arguably one of the hottest teams in the WHL headed down the stretch. 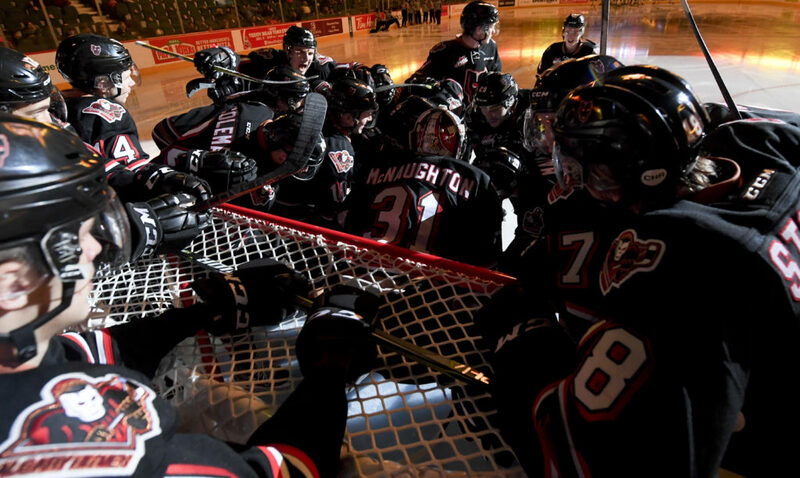 And now, the stage is set for a best-of-seven series starting Friday night in Lethbridge for Game One against the Hurricanes. 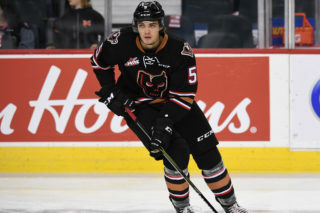 This series marks the first time since 2009 that the Alberta rivals will square off in the post-season, as the Hitmen swept the ‘Canes that year en-route to reaching the WHL Final. 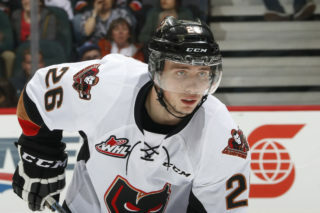 More recently, the two clubs faced off six times this season with the Hitmen finishing 1-5 against Lethbridge and being outscored 35-24. Either way, that was then and this is now. “Playoffs are a whole different game,” Kaden Elder said. “What happened in the past is irrelevant and all our focus has to be on the future. 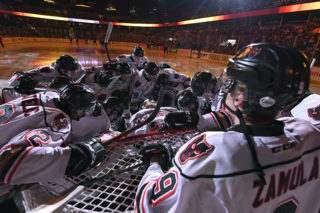 Just because they had our number in the regular season it doesn’t mean anything once the series gets underway. Year after year, playoffs have proven to be unpredictable and there is no telling on how things will unfold. One thing that is for certain, it’ll make for some entertaining hockey. “It’s an exciting time,” Krebs said. “You find a little bit more of energy that you didn’t know you had in you and we’re going to need that every single night because it takes more dedication and drive to win in the post-season.